Kara I. Lais - FitzGerald Morris Baker Firth, P.C. 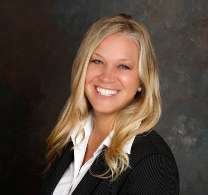 Kara Lais is a Partner in the Business & Real Estate practice group, with concentration in municipal and public entity law, real estate and land use, and business and corporate law. Ms. Lais joined the firm as an Associate Attorney in 2003, became Managing Attorney of her section in 2013, and was named an Equity Partner in July 2015. Ms. Lais is admitted to practice in New York, and for the United States District Court, Northern District of New York. Ms. Lais earned her Juris Doctor, with honors, from Albany Law School of Union University. She received her undergraduate degree, also with honors, from the State University of New York at Buffalo. Ms. Lais is a member of the National Association of Bond Lawyers, the New York State Bar Association and past President of the Adirondack Women’s Bar Association. She is a New York State Delegate for the Warren County Bar Association.